Valentine’s Day is at hand and what’s more fitting than an article centered on the theme of attraction? 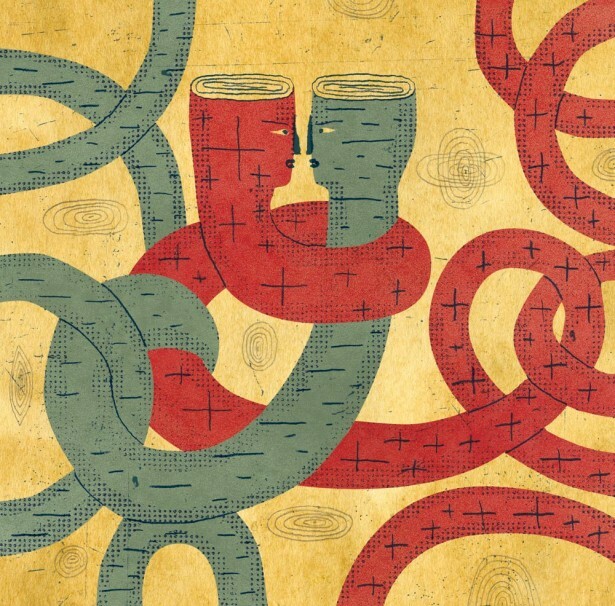 Nautilus magazine set out to find out what creates attraction (sometimes people that are the same seem to gravitate towards each other, while other times they’re the polar opposites) in their latest article, which is illustrated by Altpick-member David Plunkert. His two pieces, “Opposites Attract” and “Why It’s Hard for Black Holes to Get Together” can be seen right here, while the full article can be found in the link below.